Happy new year Hy, how are things? I’m thinking of coming over to see you, how would you fancy meeting up in Miami and taking a 1500 mile train journey to New York, recording the trip with video, photos and stuff? About this far into the conversation Hy replied; Say no more, count me in, when do we start? That night I booked my flights. I will arrive in Florida on the 9th of March and leave from New York one week later on the 16th….and thats not all; Now Hy has agreed to travel back to Ireland with me so this should prove to be an eventful few weeks. The first expedition of the Imaginairium! Hy Mayerson and I met in 2005. I was exhibiting my Photo Distortions and Hy and his wife Colleen were in Ireland touring with the great Irish Singer and musician, Sean Tyrell. Hy was making a video of Sean’s troupe performing “The Midnight Court”. Hy is a well-respected attorney with a nation wide practice located in Spring City on the outskirts of Philadelphia. Over the past year Hy and I have discussed the idea of creating what would be called the Imaginairium based in his Meeting House Law Building. He’s 72 and I’m 40 so between us we have 112 years of wisdom. Hy is a prolific videographer with a huge archive of video footage that he created over the decades. He embraces technology, is a huge music fan and has a great You Tube Channel (RedKruzer) that showcases his video work. As an artist I have worked in many different media including Stained Glass and Sculpture. Digital Art and Photography are currently central to my practice. January 18 3:30PM -3 hours or so after Sean called . 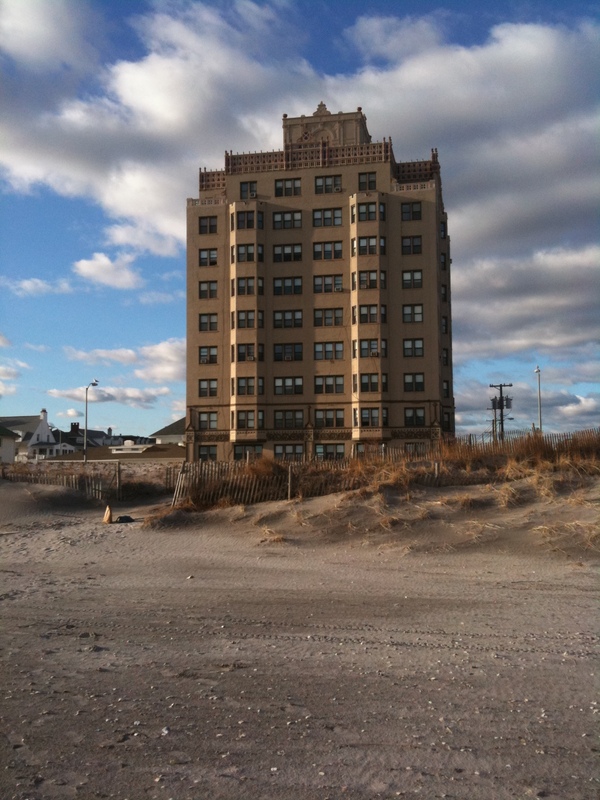 When Sean called I was driving two grandsons to Atlantic City to get Cheese Steak Supremes at the White House, and to visit Aunt Bess (92 years young ) and Cousin Marvin (Tilt) – a great humorist, raconteur (as in Bill Clinton) and C gull gatherer in their Atlantic City rent protected Hy Rise, The Raleigh. Proof positive to be submitted. I have a hard & fast rule not to drive & cel phone , but I saw it was Ireland calling. 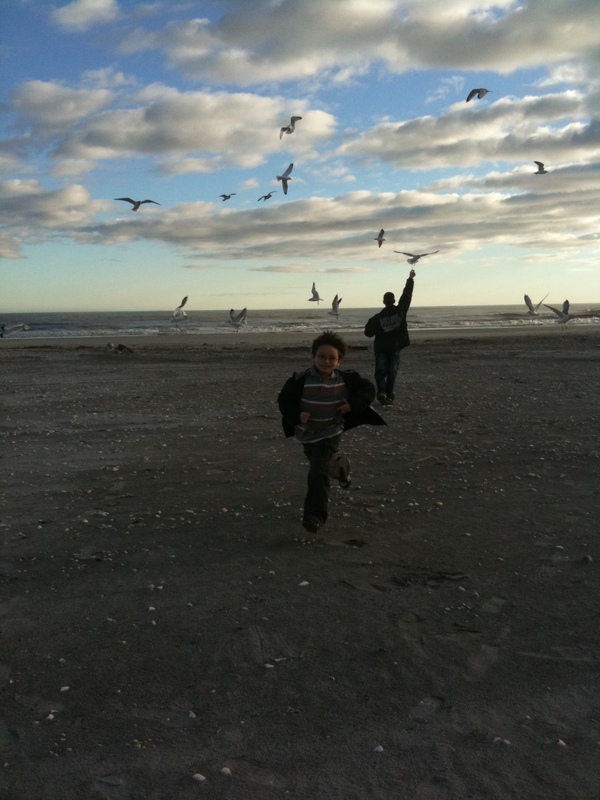 Zack feeding Sea Gulls, and Gavin running so fast, both feet are off the ground.